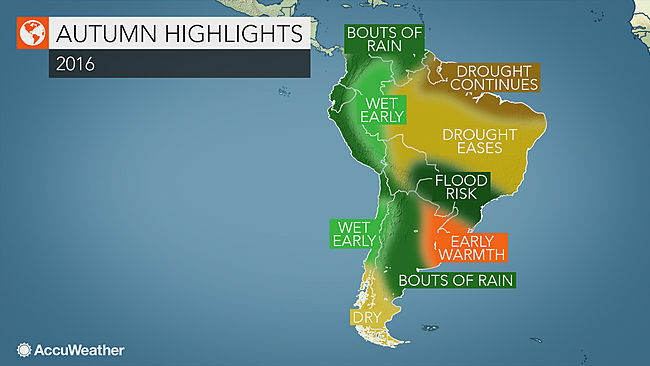 Wet weather will frequent large portions of South America throughout autumn; however, dry spells will dominate the weather pattern in southern and northern parts of the continent. The long-term drought that has plagued Brazil will begin to ease this autumn, though the heaviest and most beneficial rain will be mainly confined to southern portions of the country. The season will get off to a wet start from Colombia through Chile before being replaced by drier conditions for the second half of the season.